Winter Gardens Theatre, Ball Room and al fresco Theatre lessees Messers Crisford Garton and Lamplough Walker. 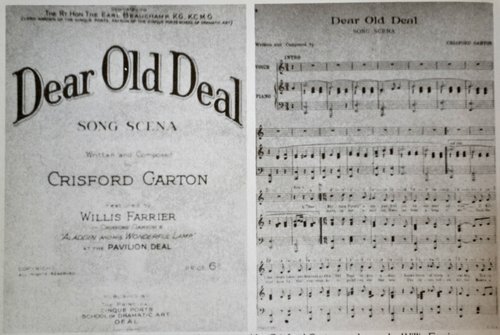 Crisford Garton appears several times in available records. 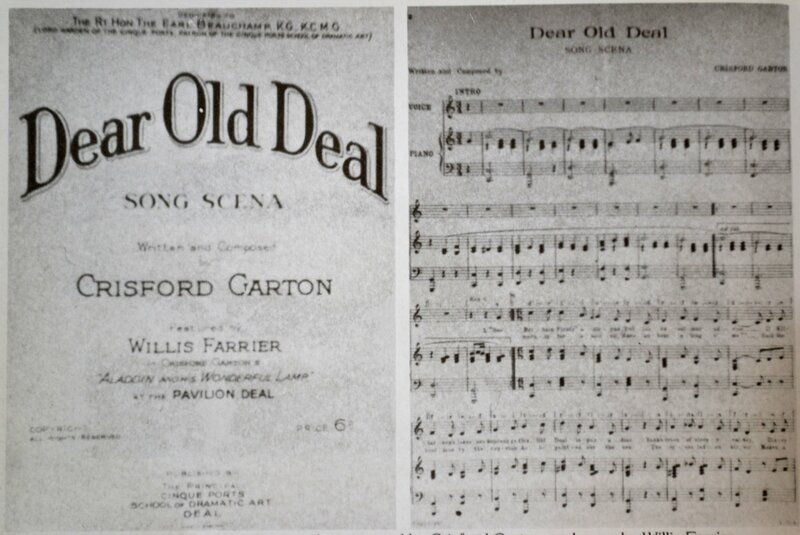 He wrote a song 'Dear Old Deal' performed at 'Aladdin and his Wonderful Lamp' and alse went backrupt. We assume the name changed after WW1. 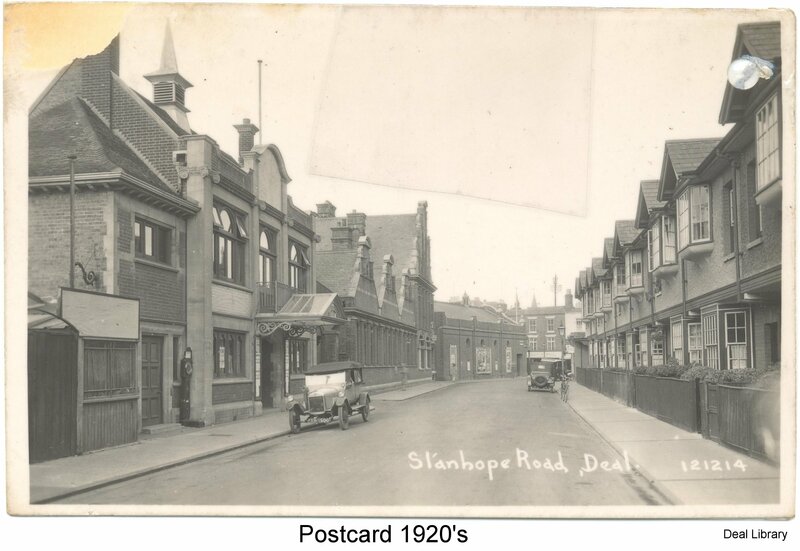 There was additional competition for audiences of a different kind with the opening of the Queens Premier Cinema (c 1916) at the end of Stanhope Road. The Royal Theatre had also converted to a cinema. In the Deal Walmer & Sandwich Mercury there are adverts by groups with events at the Winter Gardens Theatre, there are a selection shown here. It seems to have been popular place for society functions. However there appears to be no organised events run by the theatre. Borough of Deal was running the Pier Pavilion and so there are summer seasons organised. In 1928 the roller skating rink opposite the pier was turned into the Pavilion, a further venue for entertainments in Deal, but this soon converted to the Regent Cinema.